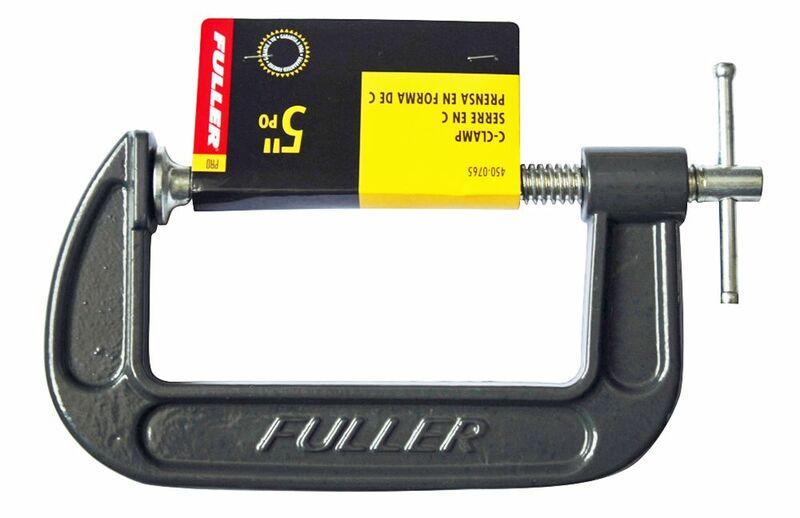 With a sturdy swivel pad for greater stability on work surfaces, and a heavy-duty handle and screw for greater clamping pressure, this industrial grade 5-inch C-clamp is engineered to work hard for you. Manufactured from tough ductile iron, reinforced at all stress points where extra strength counts, and enamelled for long life, this clamp is perfect for a variety of different job-site tasks. The BORA WTX clamp edge saw guide is the perfect addition to your circular saw, router or jig saw allowing you to make straight cuts with ease. Made out of heavy gauge, extruded aluminum - the WTX clamp edge is tough and durable. The adjustable end clamp slides easily along the channels, eliminating the need for the internal channel bar. reducing weight and wear. The locking handle grabs work surfaces and won't let go giving you a secure edge that won't budge so you can make precise track saw like cuts with a circular saw, jig saw or router.The clamp edge is 50 inches long, and with the WTX clamp extension, you can an additional 50 inches. The handle is molded with a hanging notch for convenient storage while it's not in use. Pro Series 5-inch C-Clamp With a sturdy swivel pad for greater stability on work surfaces, and a heavy-duty handle and screw for greater clamping pressure, this industrial grade 5-inch C-clamp is engineered to work hard for you. Manufactured from tough ductile iron, reinforced at all stress points where extra strength counts, and enamelled for long life, this clamp is perfect for a variety of different job-site tasks.